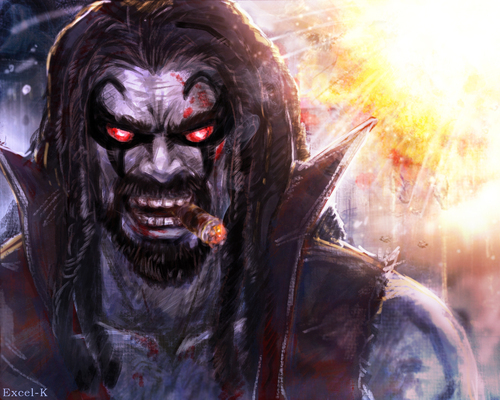 Lobo is a native of the planet Czarnia. Wanting to be unique, he created a plague that violently exterminated his entire species, saving the antidote for himself. 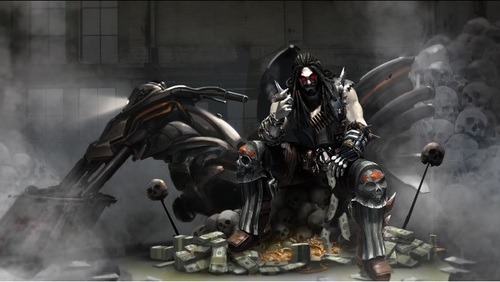 He later became a bounty hunter as a source of income to fuel his drinking habit and insatiable lust for violence, preferring to hunt the toughest foes. Once he accepts a contract, he doesn't stop until he completes it, even at his own peril. Now he's come to Earth for the first time, but who is he after? 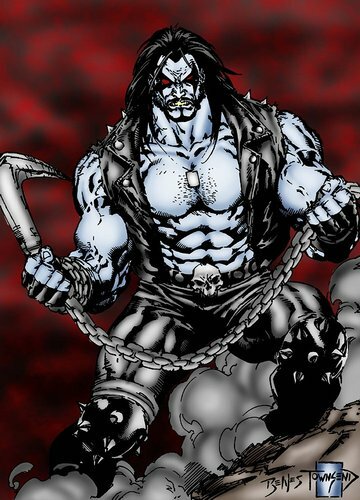 Lobo is a Czarnian with exceptional strength and fortitude. 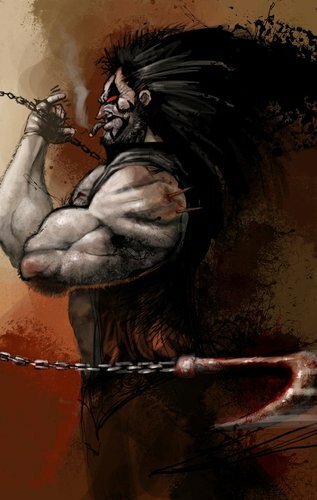 He enjoys nothing better than mindless violence and intoxication, and killing is an end in itself; his name roughly translates as "he who devours your entrails and thoroughly enjoys it." He is arrogant and self-centered, focusing almost solely on his own pleasures, although he proudly lives up to the letter of his promises - but always no more or no less than what he promised. 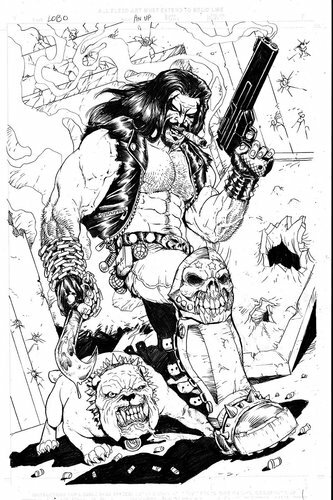 Lobo is a ruthless bounty hunter. Once he takes a contract, he finishes it no matter what, even if it means risking his own life. He has a strict personal code of honor in that he will never violate the letter of an agreement, although he may gleefully disregard its spirit. He is surprisingly protective of space dolphins, some of which he feeds from his home. A few have been killed in separate incidents, which he avenges with his usual violence. 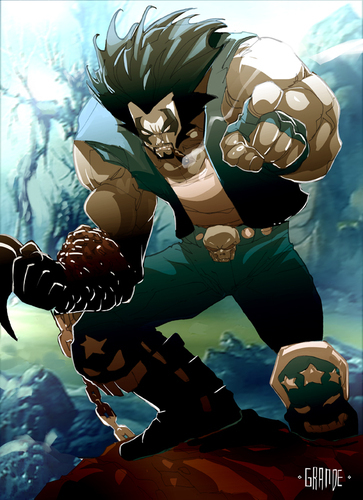 Lobo has no friends, given his volatile personality and tendency for people to die when they are around him, either by his hands or the enemies he faces. 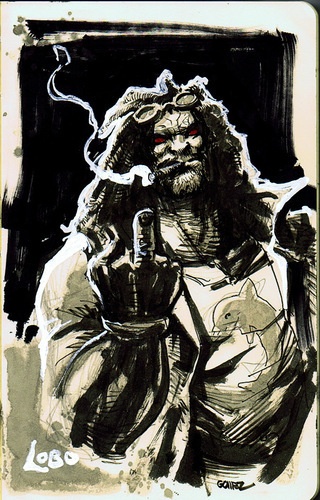 He generally tries to kill anyone he's hired to capture, unless specifically forbidden by his contract. 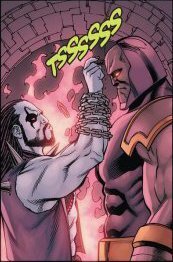 Most of Lobo's schemes tend to end with the violent deaths of nearly everyone involved. 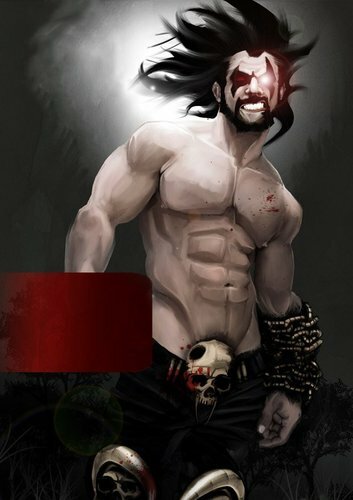 Physically, Lobo resembles a chalk-white human male with blood-red pupilless eyes with blackened eyelids, his body highly muscular. 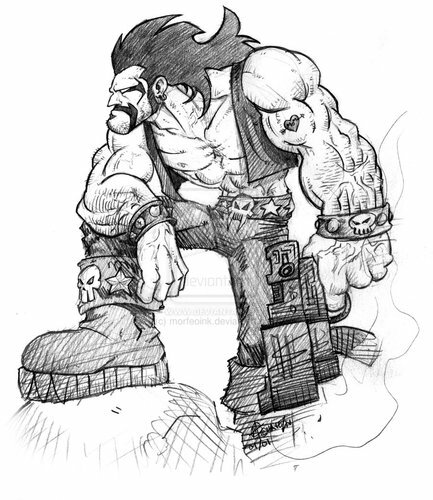 His arsenal includes numerous guns and a titanium chain with a hook on his right arm. Extra weapons may include "frag grenades" and giant carving blades. This is Lobo's first time encountering Earth, although from what he's witnessed so far, the mudball isn't anything special. 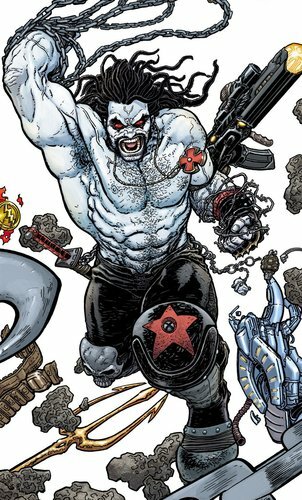 Lobo possesses extraordinary strength and physical resiliency on a similar level to Superman, is able to survive unprotected in deep space, and withstand powerful explosive blasts without sustaining injury. He has displayed particular susceptibility to gaseous chemicals. 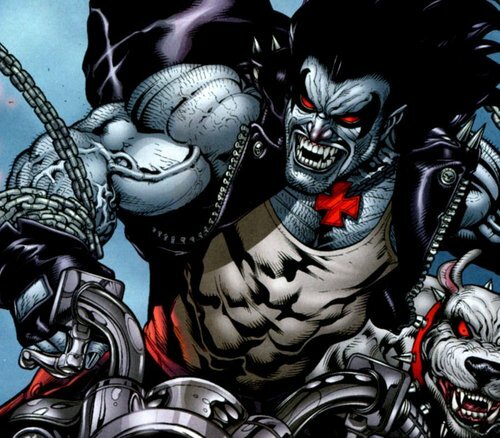 If Lobo sustains injury, his accelerated healing factor enables him to regenerate damaged or destroyed tissue with superhuman speed and efficiency, and little apparent pain. 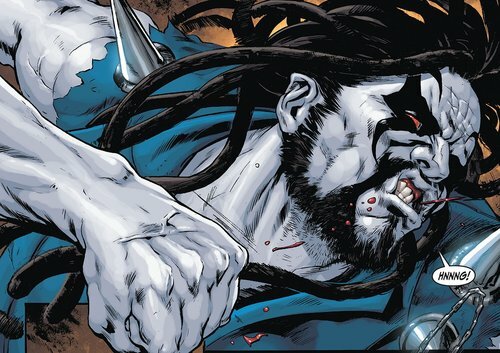 Lobo appears to be functionally immortal. He is immune to the effects of aging and disease. Even though he can sustain sufficient injury to be out of commission for quite some time, he will apparently heal from any injury, given sufficient time. 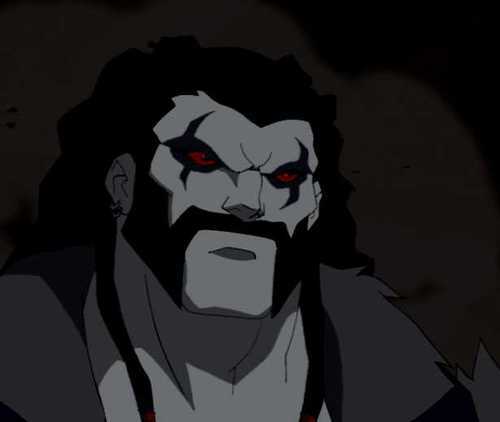 Despite his violent and loutish nature, Lobo seems to have a genius-level intellect in matters of destruction and violence. He can create complex virulent agents and the corresponding antidotes. 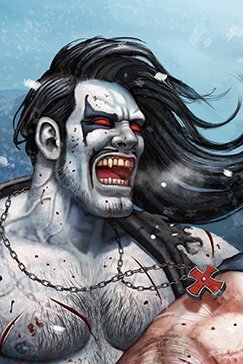 Lobo is the last of his kind, having committed complete genocide by killing all the other Czarnians for fun. 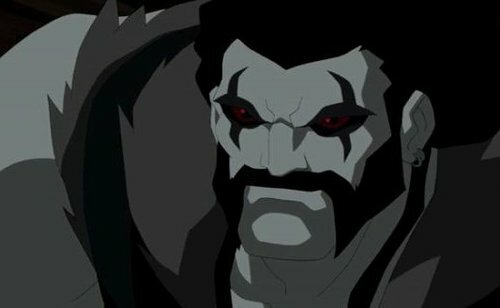 Lobo released such a plague on Czarnia as a science project, resulting in the deaths of the entire population in the span of one week. 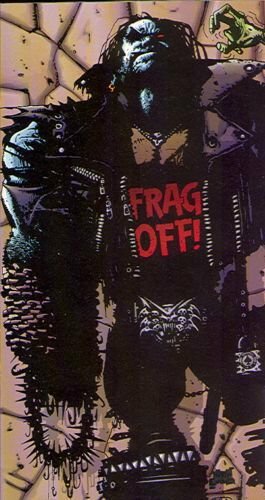 His vehicle, some sort of space-faring motorcycle (the "Space Hog"), often accompanies him. It is his own design and, despite its size, it is capable of extended and speedy travel throughout space. Further, it protects those in its immediate vicinity from the hazards of space and somehow permits the ability to breathe and speak. 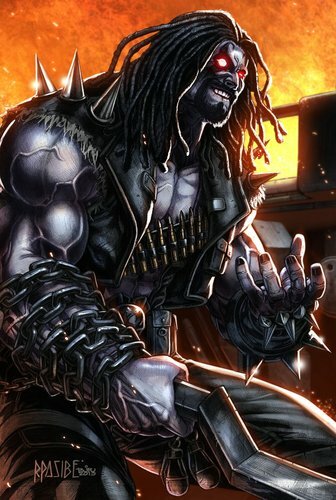 Lobo is fluent in many alien languages, though he wears a translator on his belt for worlds he has never encountered. He is extremely knowledgeable in the locations and cultures of worlds without external references. 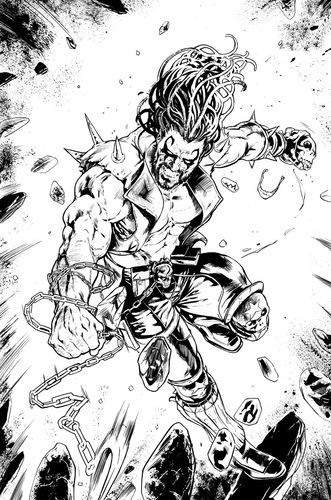 Lobo is susceptible to gas attacks, and likely telepathy and mind control. 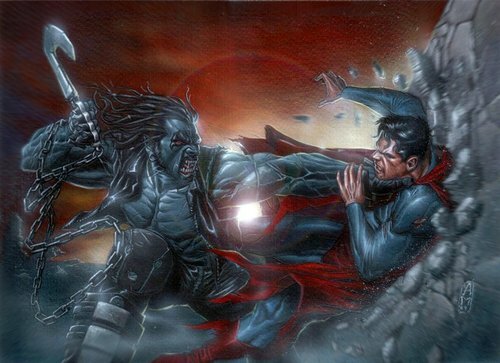 Lobo is a sucker for space dolphins, feeding them and going so far as to avenge their deaths with his usual violence.